Thanks, Mail Carrier | Huggies Wipes with Triple Clean Layers have an Endless Number of Uses! Huggies Wipes with Triple Clean Layers have an Endless Number of Uses! I know for a fact that I'm not alone in feeling as though I blinked and my kids went from babies to big kids. Where does the time go? However, even though our house has long been purged of the crib, burp clothes, diapers, adorable little onesies, swaddling blankets, high chairs, swings, bouncy seats, and more, there is one product that has shown its versatility long beyond infancy. Because even though I may have first started using baby wipes for gently cleaning tiny rear ends, it wasn't long before I realized that they are useful in SO many more situations. 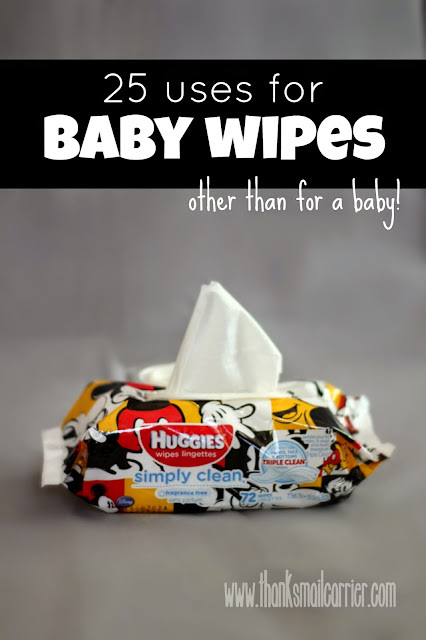 Forget only cleaning up baby's messes, Huggies Wipes (my favorite of all baby wipes) are a great way to clean up any family messes! Huggies has declared that wipes are necessary "Because Kids Outgrow Diapers, Not Messes*" and I have to agree... with the addendum of my own stating that LIFE is messy! Spills, germs, drops, pets, just about anything out in public, restrooms, parks, schools — the list is endless! Fortunately, Huggies Wipes come in a variety of fun, convenient sized packages from Walmart, so whether you keep them stashed in your living room, bag or car, there is a size and design that will suit your needs. Even better, Huggies Wipes are able to clean better than other national brand's sensitive wipes as their new and improved Triple Clean technology provides quality unlike any other! Cleaning a pet's dirty paws. Wiping down a dirty table after a meal. Cleaning off hands or faces before and after on-the-go snacking. Cleaning germs off of toys (and knowing you aren't exposing your kids to harmful chemicals). All sorts of house cleaning: kitchen counters, bathroom sinks, inside the refrigerator, etc. Freshening up after a workout or on a hot day. Use in place of a tissue on a sore nose. Cleaning marks and dirt off of shoes. Removing unexpected "artwork" (e.g. crayon, markers) off of the walls. Decreasing germs on shopping carts, restaurant tables, at the gym, in public restrooms and more before use. Removing dust and dirt from your dashboard, cup holders, and other areas inside your vehicle. Eliminating annoying deodorant marks from your clothing! Removing static from your hair or clothing. Easily cleaning hands during craft projects to remove paint, glue, glitter, etc. Giving your leather furniture a quick wipe down for a fast and easy shine. Removing sticky spots or fingerprints from your collection of CDs, DVDs and Blu-ray discs for less chance of skipping or stopping. Removing marks from dry erase boards. Quick cleanup of your hands after using the gas pump. Cleaning your computer screen, keyboard and more, as well as a wide variety of gadgets and devices. Removing scuff marks from walls, floors, baseboards, appliances and more. Removing stains from carpet, clothing, and upholstery. Temporarily cooling a sunburn by gently patting the area with a baby wipe. Changing a diaper, of course! Have you put Huggies Wipes to use in these ways before? Do you have your own favorite times and ways to reach for them to make your own life easier (and cleaner)? From the unexpected messes to simply being prepared for everything, cleaning can be a snap thanks to Huggies Triple Clean technology! 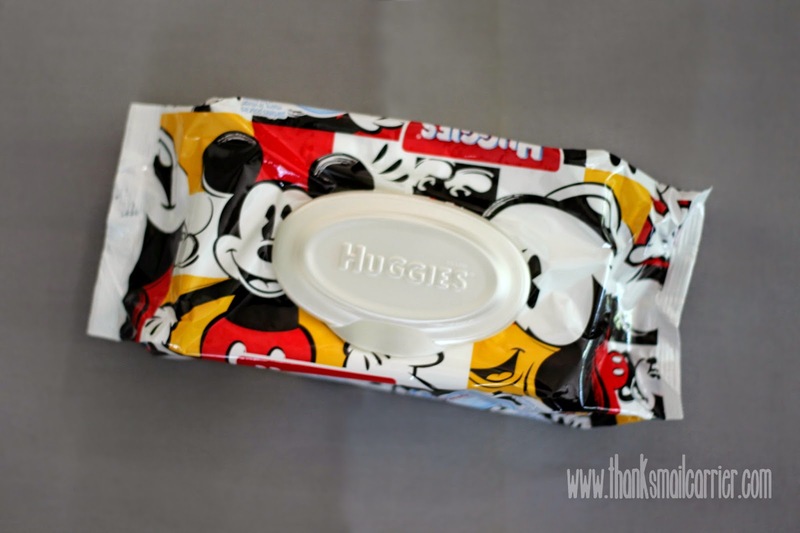 Ready to check out even more fun and creative ways to use Huggies wipes? Then you'll want to see these great videos on the Walmart website while finding out about purchasing this must-have product. ...and now tell me: which is your favorite? I liked Pasta Baby. Been there! I like keeping them in my car. Rescued me from many messes. I love the Pasta Baby video. It is so true to life. Every baby I know looks like that after spaghetti.